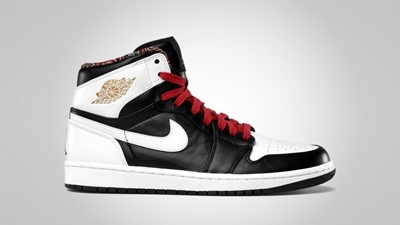 Jordan Brand is absolutely serious in making an impact as the 2012 London Olympics approaches with the release of the 2012 World Basketball Festival Collection, which includes the Air Jordan 1 Retro High RTTG. Dubbed as the RTTG edition or “Road To The Gold”, the first of two Air Jordan 1 Retro editions of the shoe is due for release this Saturday, July 7, in Black/Metallic Gold – Gym Red – White colorway or what is known as the “Vegas” colorway of the shoe. The next one is due for release next week, but make sure not to miss this one this Saturday!